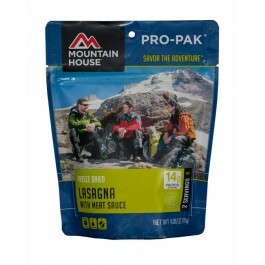 Lasagna from Mountain House is one of the best tasting items on their extensive list, according to many reviews. 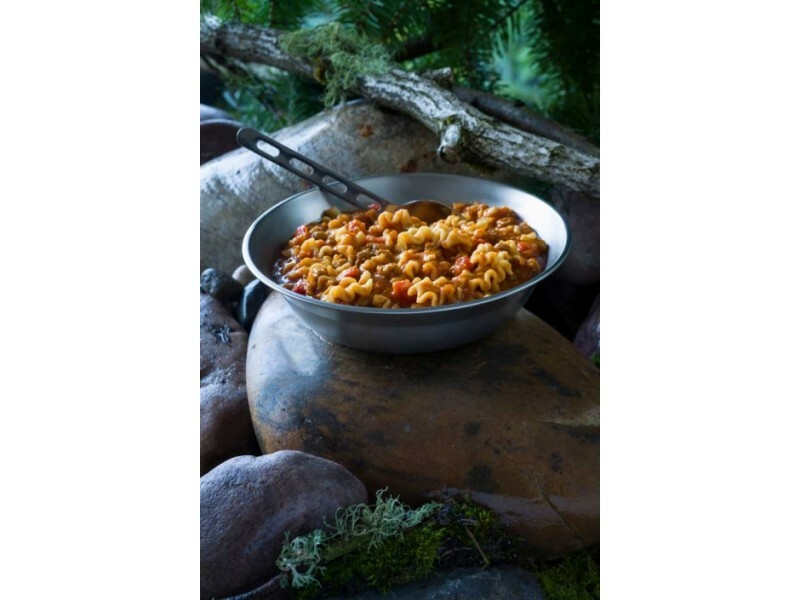 It is made with real cheese, covered in a rich tomato and meat sauce that is both delicious and nutritious. Each pack contains 16 ounces, which is plenty for several people to enjoy as a meal. 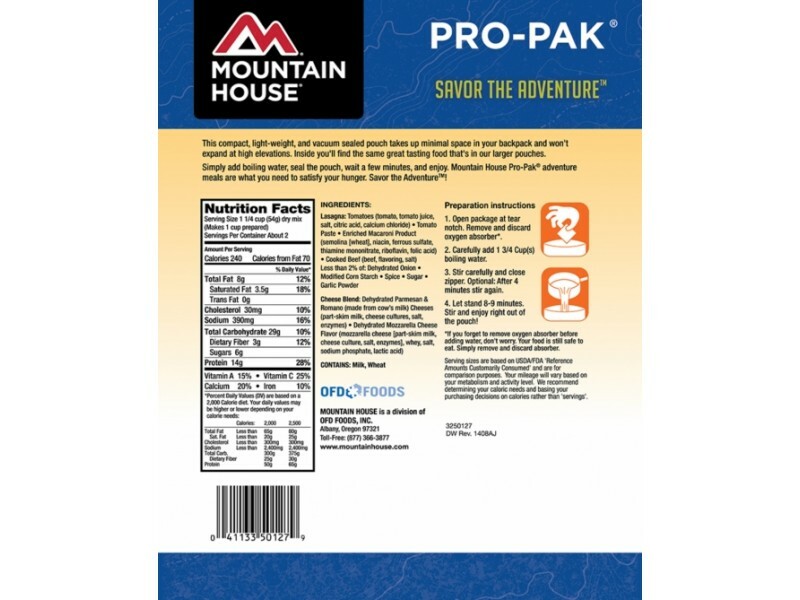 Another great benefit of lasagna from Mountain House is that you can store it away for 10+ years without worrying about whether it will be good when you make it or not. This long shelf life makes it perfect for all types of emergency food storage programs. Mountain House made this lasagna using excellent ingredients to ensure it would last a long time, taste great, and be good for you. Once the recipe was completed, the food was quickly freeze dried and placed into the protective pouches to ensure it would last for 10+ years on the shelf. This is just one of the many things that set Mountain House apart from other food ration providers today. The quality is always the best it can be, so you can always be confident that you’ll enjoy every meal in your stockpile. When preparing for any type of emergency or disaster, it is important to make sure you have not only enough food, but the right types of food. Eating foods that will provide sufficient calories, protein and other nutrients is essential for planning, and this lasagna is perfect for that. Each serving contains 14 grams of protein, 240 calories and 8 grams of fat. This will ensure that you feel full when you’re done eating, and that you have more than enough energy to burn during any activity the day brings your way. With such a long shelf life, you can be confident that no matter what happens in the world, you’ll have enough food to survive it. 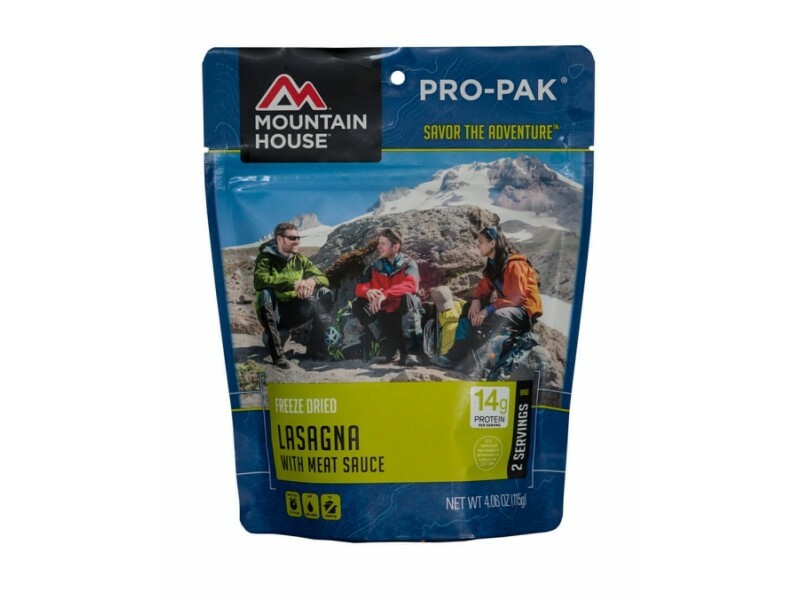 Most emergencies only last a few days, be even in the event of a long term disaster, having a large stockpile of food including this great lasagna will help ensure you can transition into the new way of life much more easily. One pouch contains 2 1 cup servings.